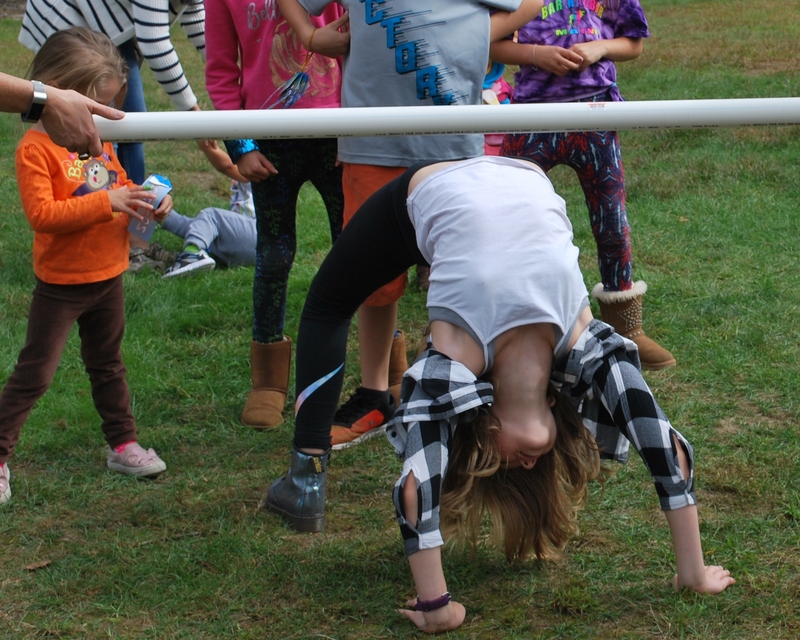 A Palooza of a Day – Thank you to all the volunteers, community partners and sponsors! Adam Glass presented the WCA board with a fabulous idea last winter. Why not have an all-day event celebrating all things Wilmot? 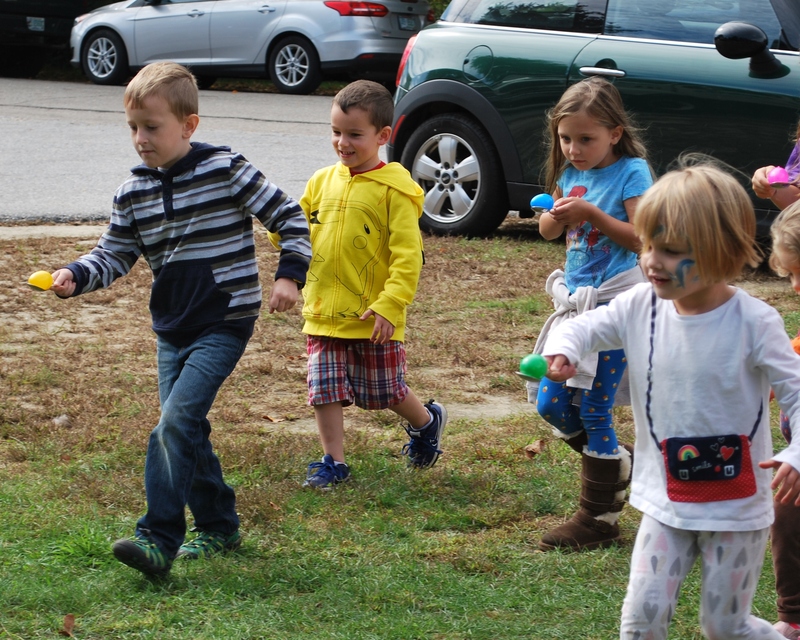 … a Wilmotpalooza! 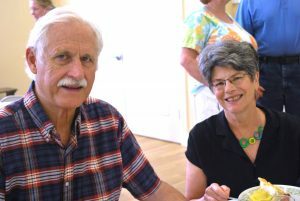 Ann Davis and Donna Miller, joined his committee and work began. 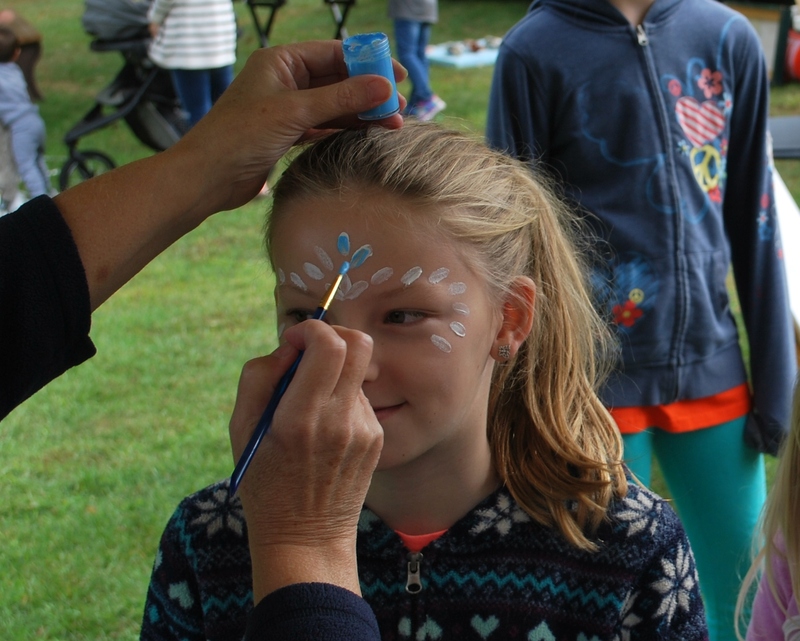 The first Wilmotpalooza was held Sunday, September 30. Starting with a breakfast at 8 a.m. the day continued with a Wilmot Volunteer Fire Department demonstration, games for kids and face painting on the Green, the Moores on the Bandstand at noon and Puppypalooza. We couldn’t have done it without our fabulous volunteers, community partners and sponsors. Rachel Seamans and Amber Gove started the morning with a delicious pancakepalooza. 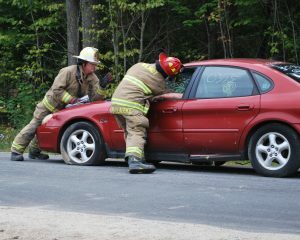 They were ably assisted by Rhonda Gauthier, Chris Jennssen, Janet and Jonathon Schwarz, De Segerson and Barbara Wiggin. 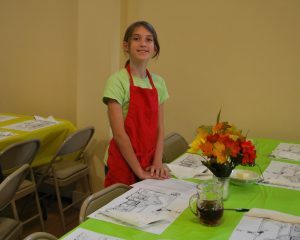 We love our student volunteers! 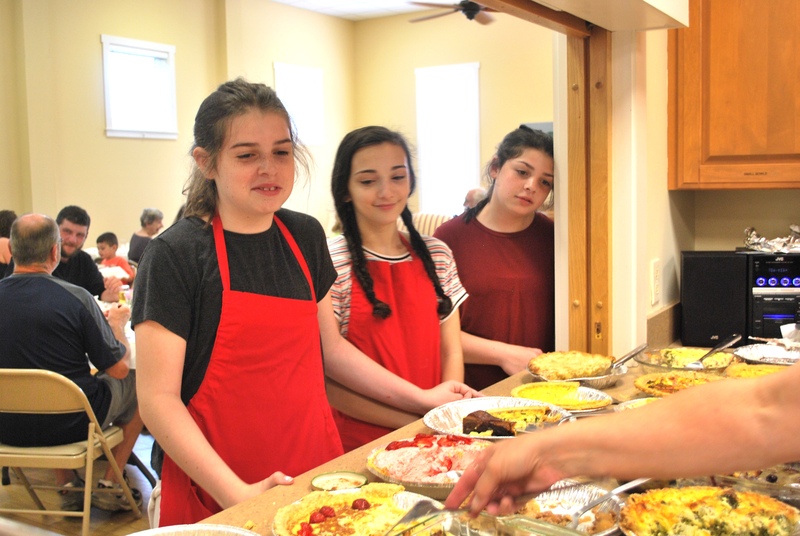 Kearsarge students Max Brown, Carly Esposito, Rose Patrick and Calley Valerie joined the kitchen crew. Finally, Deb Beerman, Lisah Carpenter, Rhonda Gauthier, Donna Miller, Susan Nye and Jan Sahler shared their talents and tasty baked goods. 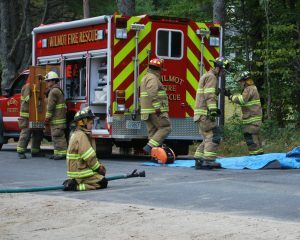 Over at the Ball Field, the Wilmot Volunteer Fire Department staged an extraction. 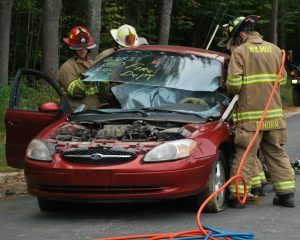 The WVFD was out in full force with trucks, hoses, saws and the Jaws of Life. 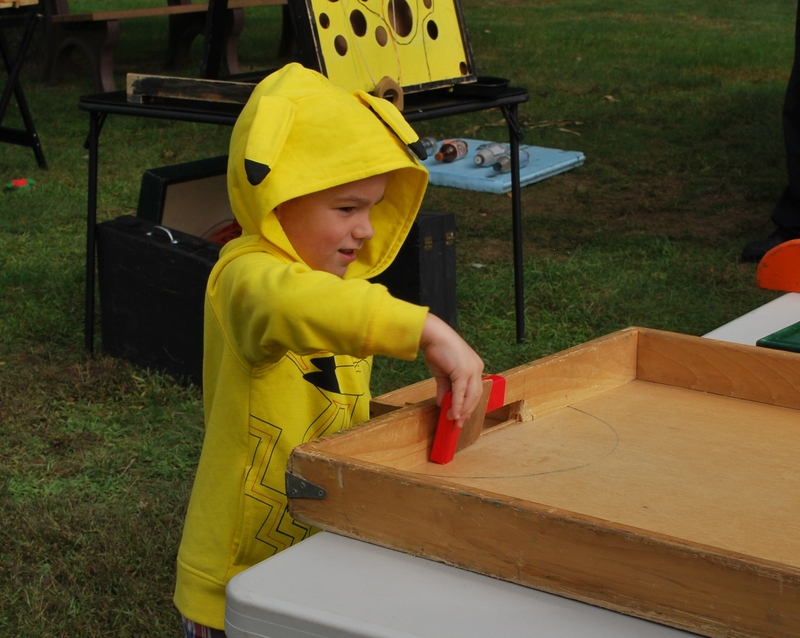 Back on the Wilmot Town Green, Bill Burris set up his fabulous games. Wilmot kids never tire of these wonderful, old fashioned wooden games. Enthusiasm was high. Jeff Gill and Tom Schamberg helped with set up and breakdown the games. 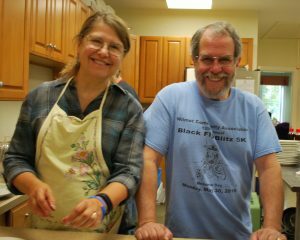 Ann and Marc Davis ran the field games. 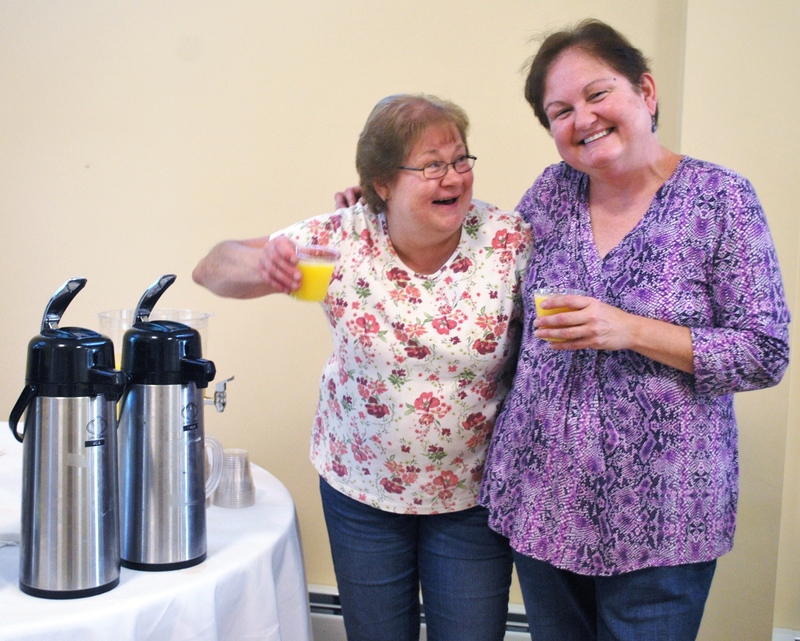 Melissa Aubertin and Billie-Jean Hufault pitched in and all ran smoothly – without a single tear! 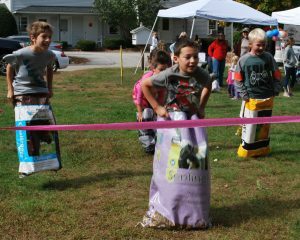 The sack race was a real highligh – thanks to Dr. Beth Palmer at the Kearsarge Veterinary Clinic for donating the feed bags. Meanwhile, Kathy Neuberger tirelessly painted tiny face after tiny face with butterflies, Super Mario and more. Kenny Clarke brought a giant loader down to the Green so the young and young at heart could touch-a-truck. Elkins Fish and Game Club and the Wilmot Conservation Commission were on hand to introduce themselves and share the work they do. In case you didn’t get enough pancakes, Ben’s Bad Dogs and Nana’s Kitchen sold lunch on the Green. 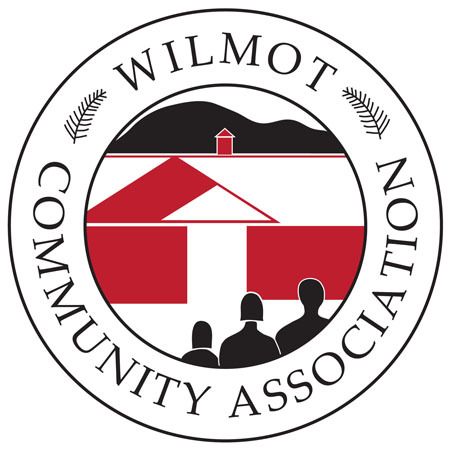 There was also a vote on … How to Pronounce Wilmot … and the winner is Will-MOT. 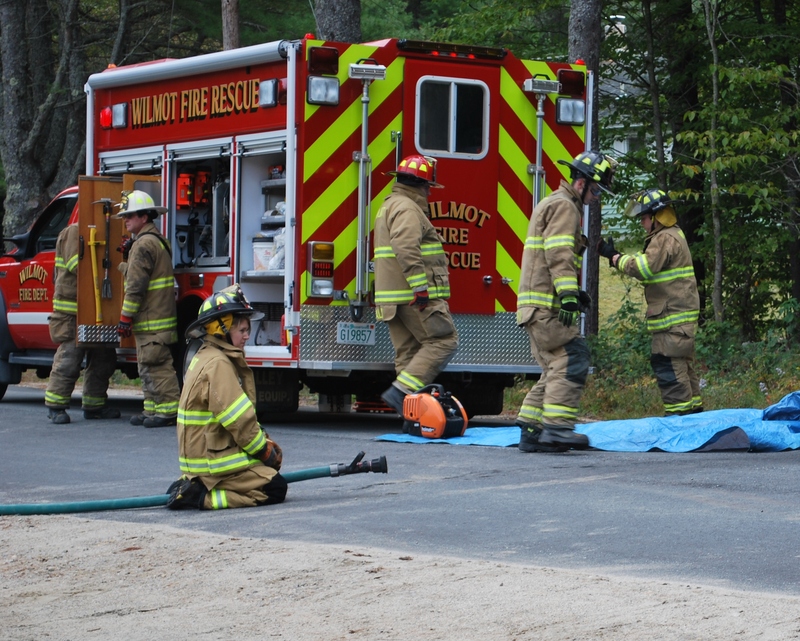 A close second and runner up was Will-MIT. After finishing clean-up after the breakfast, Rachel Seamans and Max Brown rushed over to the Town Green in time for The Moores Concert. They popped free popcorn for everyone. Max’s mom Katherine joined in the popping. Emma and Jordan Zuger were here, there and everywhere passing out schedules. 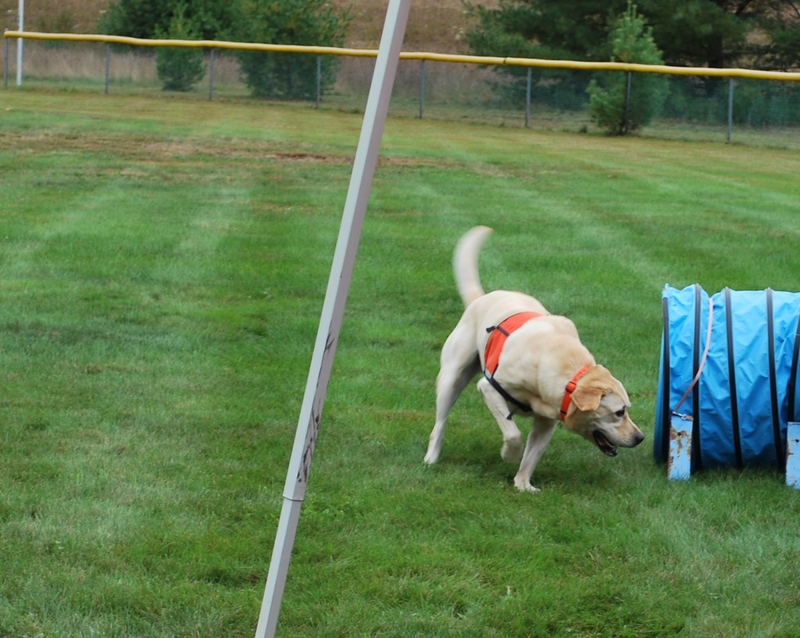 The afternoon ended with Puppypalooza on the Ball Field. 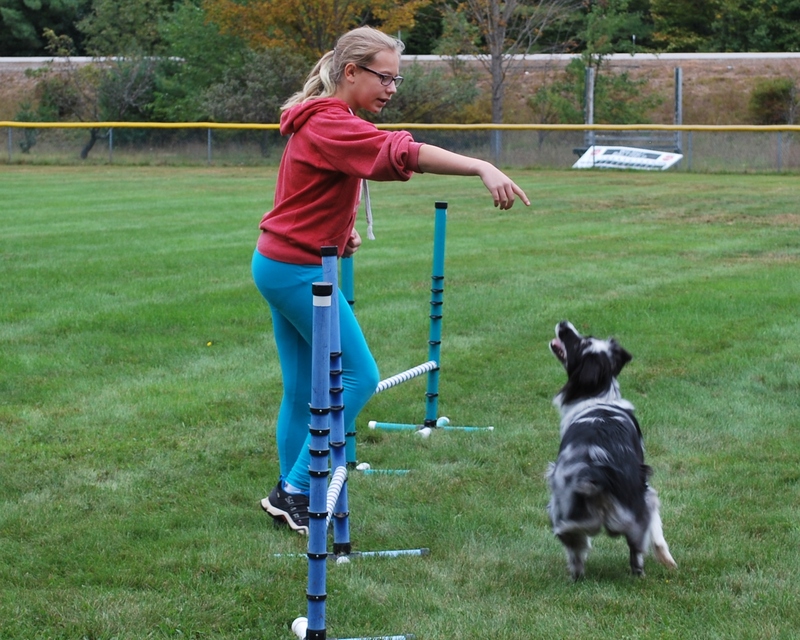 Dee Ganely talked about Bite Safety for Kids and her dogs demonstrated their agility. 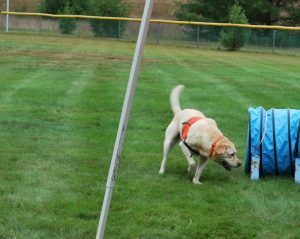 New England K9 Search and Rescue did a demo. Caring Animal Partners gave a presentation about pet therapy and service dogs. 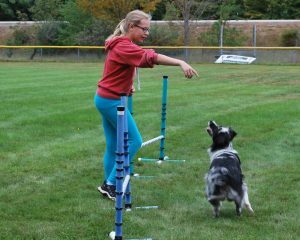 Puppypalooza ended with a fun disc dog demo with Jess Davis, Harper Davis and Laura Campbell and their Frisbee catching dogs. 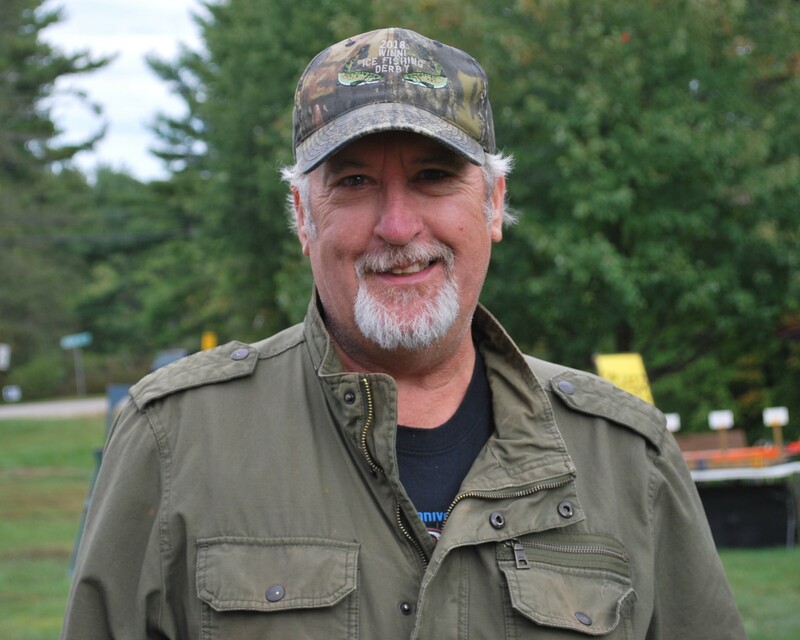 A final and special thanks to our sponsors – Clayton Miller Plumbing, Rayno Construction, Long Brothers Construction, CWS Fence & Guardrail and Mascoma Bank. Keep scrolling … there’s lots more to see! 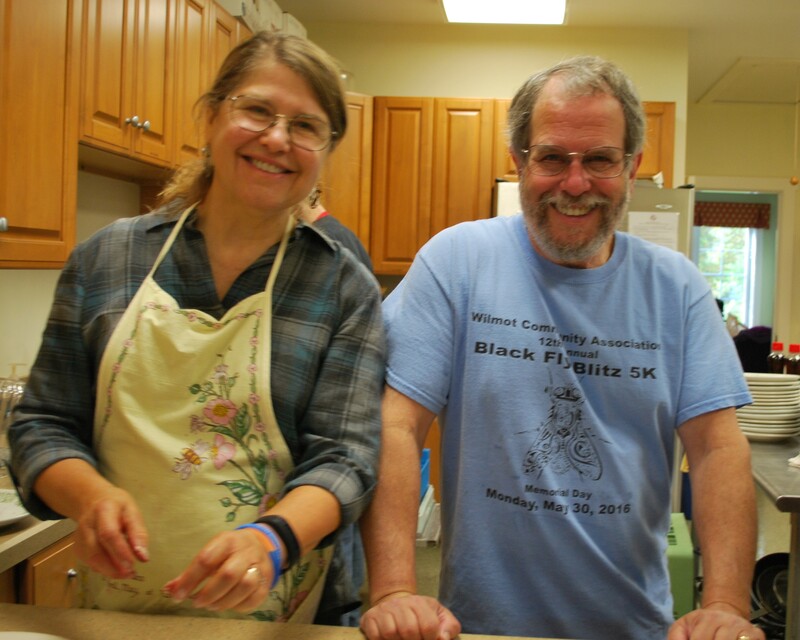 Thank you to our breakfast cooks, bakers and cleanup crew! 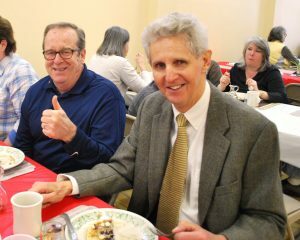 The WCA welcomed an elusive spring with a fabulous breakfast the on April 8. Wholehearted thanks go out to the many volunteers who made it possible. The hard work paid off – big time. There were rave reviews from all quarters. 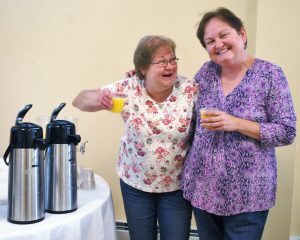 Rachel Seamans and Mary Kulacz organized the breakfast and headed up the hardworking crew. More than 80 people enjoyed a delicious breakfast of bacon, sausage, scrambled eggs, baked beans, home fries, and baked French toast. A beautiful selection of pastries and gallons of coffee rounded out the morning. 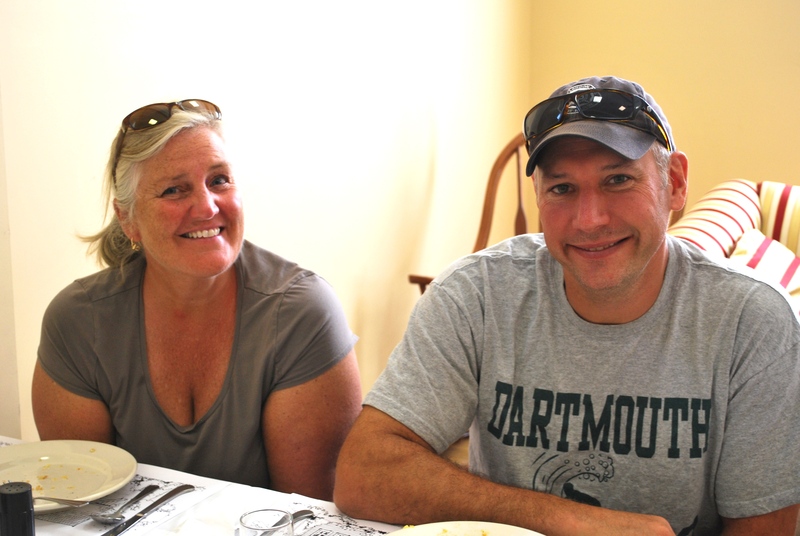 Many thanks to the terrific crew – Chris Jenssen helped Rachel and Mary with the cooking. Fresh from the coop, Erica and David Herr and Elizabeth Harper donated some of their eggs. 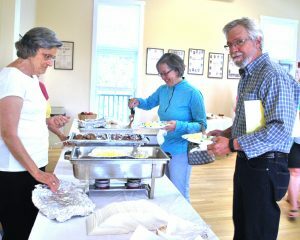 Bakers Darlene Delano, Rick Gauthier, Donna Miller, and Susan Nye brought sweet treats for all. 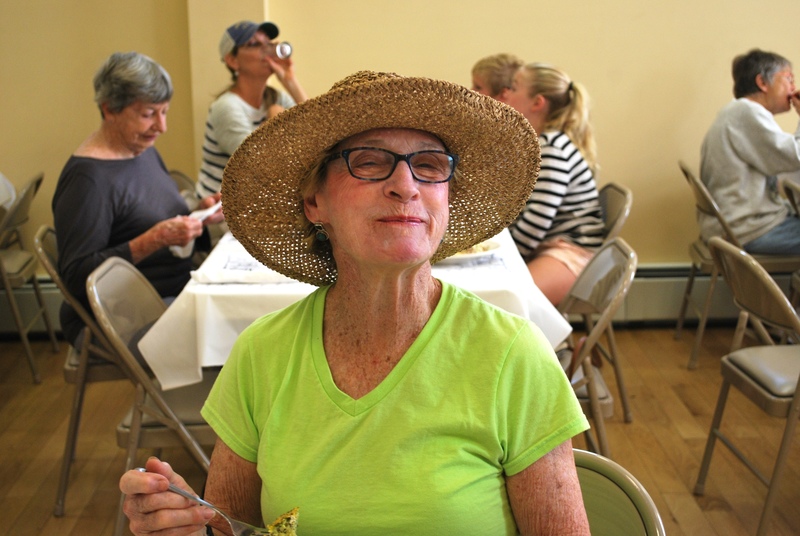 De Segerson kept the coffee perking and everyone’s cup full. 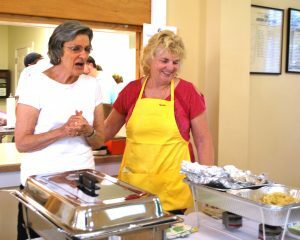 Darlene Hoyt and her daughter Carla kept the serving line moving. Adam Glass welcomed the crowd and took tickets. Brian Kulacz helped set up. 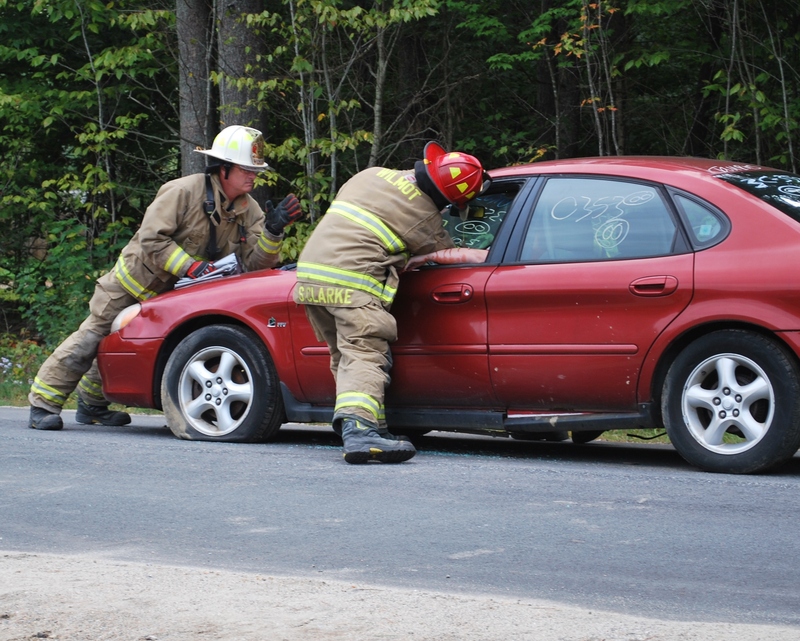 Rhonda Gauthier and her granddaughter Nautica cleared and reset places. Kearsarge Regional High School student Russell Mellott ran load after load of dishes through the dishwasher. Margaret and Bill Doody assisted with clean up. 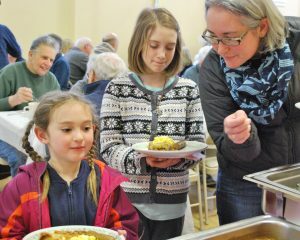 In addition to pouring coffee and clearing tables, Ann Davis organized a maple syrup raffle. Thank you to the maple syrup donors Robin and David Atwood and David Atwood Jr. from Five Saplings Sugarhouse, Spring Ledge Farm, Dr. Beth Horvath-Palmer and Scott Palmer, Charles Thompson and Jay Lyon. In addition, Rachel Seamans created a beautiful centerpiece for the raffle. Many people asked about the next breakfast. Don’t miss the WCA’s annual Pie Breakfast on July 21. 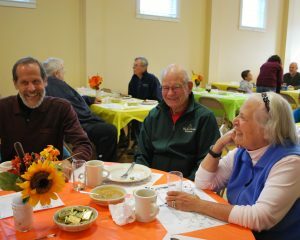 Close to 100 people enjoyed a delicious morning at the WCA’s Say Goodbye to Summer Breakfast on August 27. People came from far and wide to help the WCA celebrate the end of a great summer. 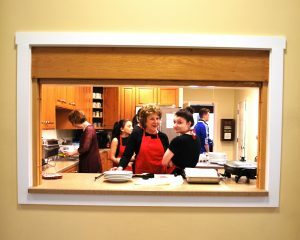 Organizer and head chef, Darlene Delano outdid herself. The hearty breakfast was delicious and there was plenty of variety. A great time was had by all. Darlene would like to thank her fabulous volunteers. 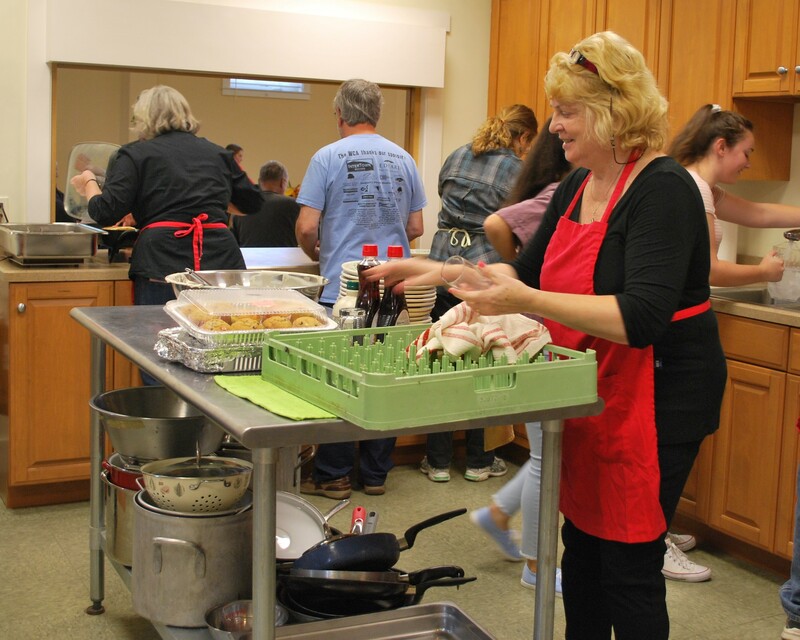 First, the shoppers, bakers and cooks – Tammy Meldrim, Julia Nile, Conner Morrison, Kayla Largo and Denise Curtiss put together a fabulou s breakfast of eggs, bacon, sausage, hash browns, baked goods, the list goes on and on. 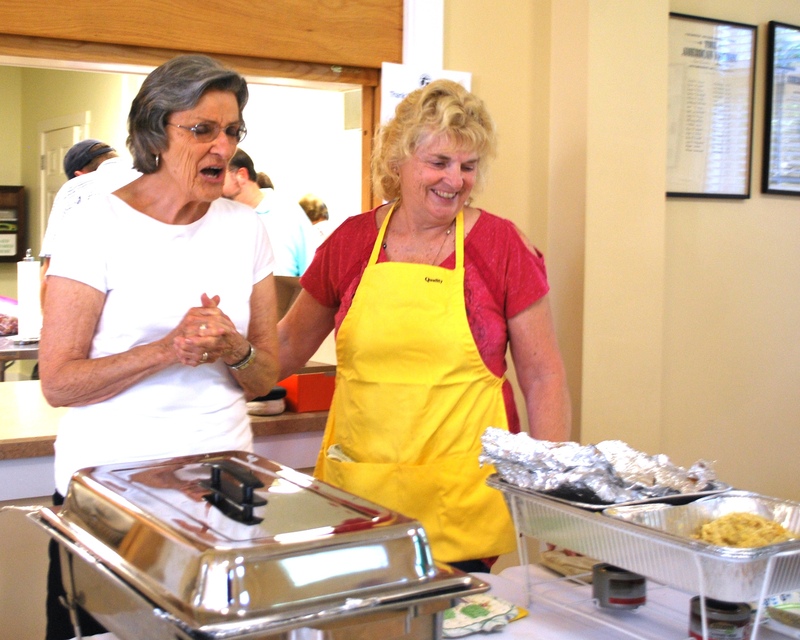 Servers Rachel Seamans and De Segerson greeted all with a smile. 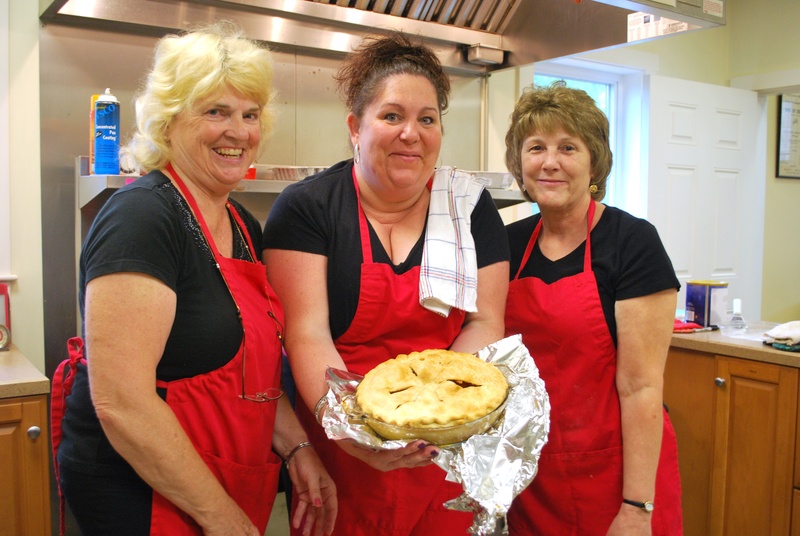 The kitchen crew included Denise Curtiss, Darlene’s niece Jennifer Gove Barton and great nephew Cody Barton. 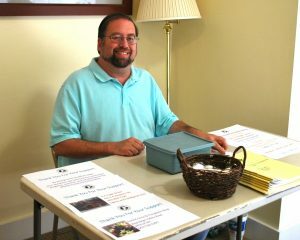 Adam Glass was on hand before, during and after to help with set up, check-in, kitchen crew and clean up. 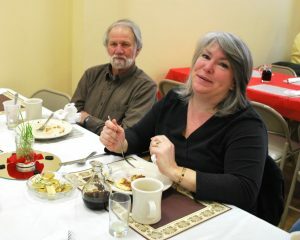 Nancy Large joined the cleanup crew.Thanks to all for making the breakfast possible. In addition, kudos go out to our very special breakfast sponsors and donors. Lovely flowers added sunny cheer to the room, thanks to a donation from Forest Cone and Evergreen Shop. 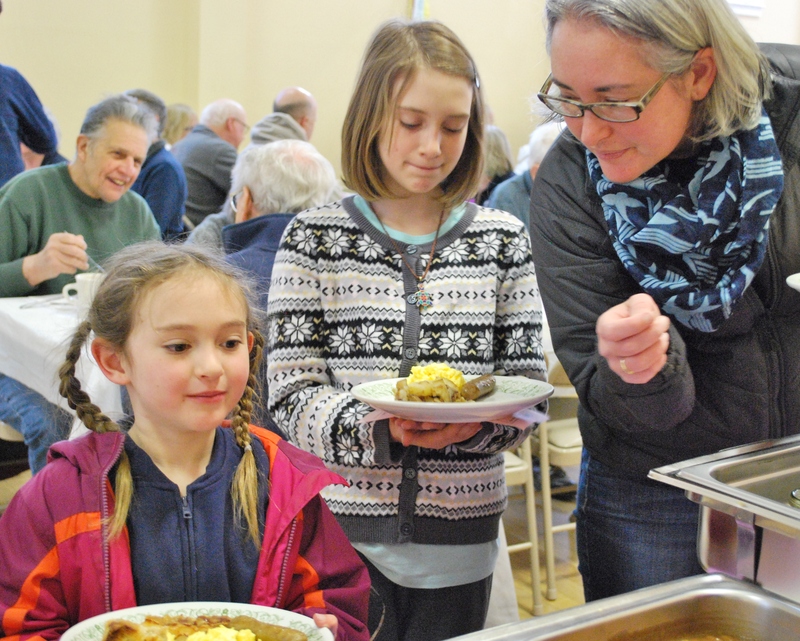 The maple syrup in Darlene’s baked french toast was donated by 4-A Sugar Shack. Labsphere provided generous support. And finally, a big thank you to everyone who attended this delicious fundraiser! Darlene – you are the best! You can cook breakfast for us anytime. Say it ain’t so! How did summer pass so quickly? 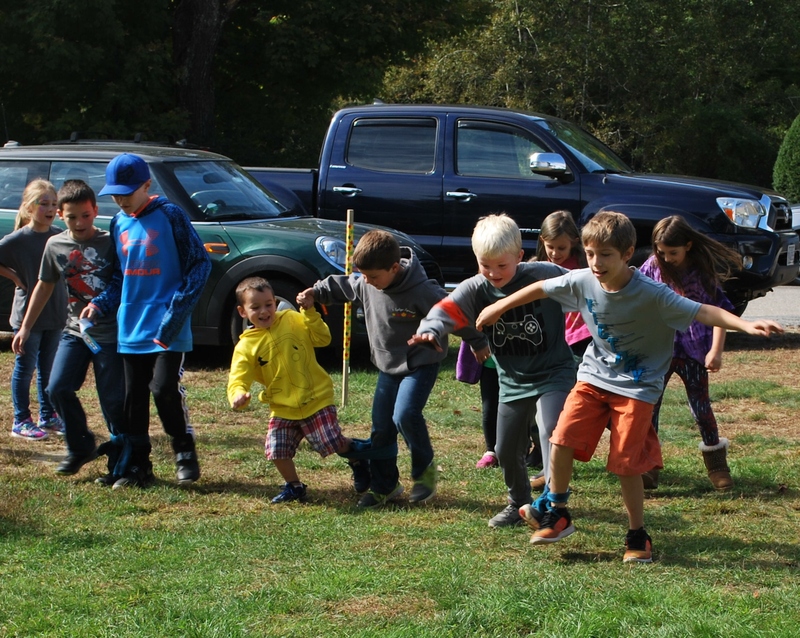 To cheer you up and fortify the kids for back-to-school, the WCA is holding one of its famous breakfasts from 7 to 10 a.m. on Sunday, August 27 at the Red Barn, 64 Village Road in Wilmot. Darlene Delano and friends are pulling out all the stops to create a fabulous feast. 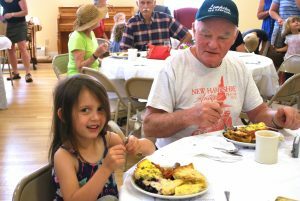 Bring your appetite to the Say Goodbye to Summer Breakfast for an extravagant assortment of eggs, bacon, sausage, pastries, fruit, juice, and, of course, a great cup of coffee. 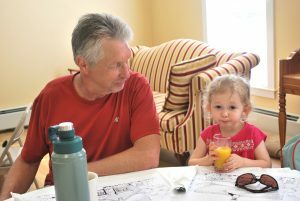 For the modest sum of $8 per person for adults and $4 for kids age 6 to 12 you can enjoy a great start to the day. No charge for children 5 and younger. It’s all for a good cause. 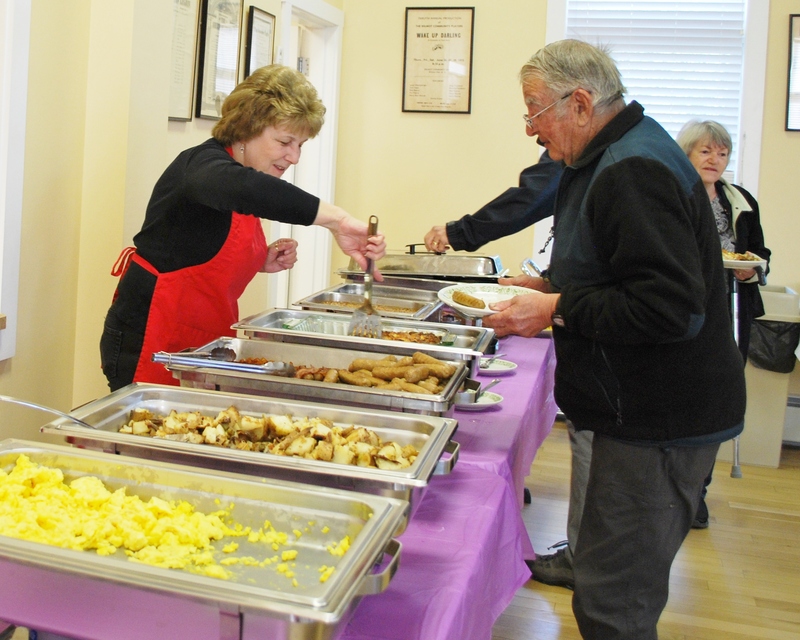 Money raised at the breakfast will support the many free programs offered by the WCA. 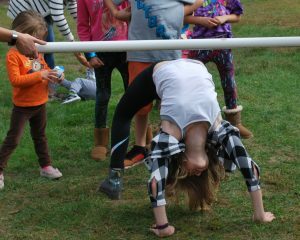 In the next few months, the WCA will host a concert series, a children’s Halloween party and a holiday craft fair. 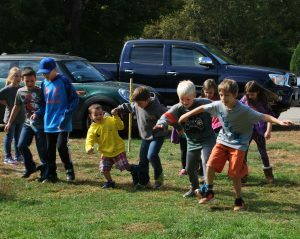 Visit the events page or stay up-to-date with WCA activities and fun on Facebook. As always, volunteers and donations of baked goods are happily accepted. 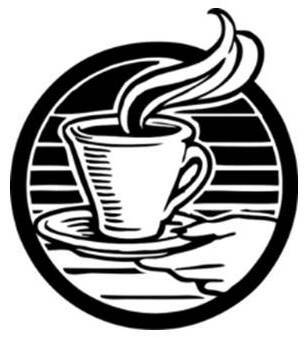 Email Darlene if you would like to donate food items, including baked goods, or join the kitchen crew on the day of the breakfast. Thanks a million! Pie Breakfast bakers and kitchen crew! Pie for breakfast – a delicious success. 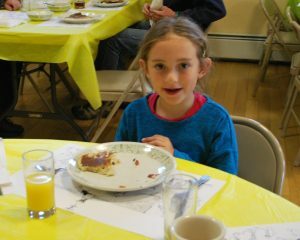 More than 150 people enjoyed a delicious morning at the WCA’s Pie Breakfast on July 8. Pie for breakfast is part of a New England summer. People came from far and wide to help the WCA celebrate this wonderful tradition. Organizers Amber Gove and Rachel Seamans would like to thank everyone who attended the fundraiser as well as the many volunteers who made it all possible. Shandi Allen, Kim Baer, Jan Baker, Meredith Bird-Miller, Jen Caponigro, Fran Crowell, Sue Cushing, Elaine and Charlie Davidson, Kathy Davidson, Ann Davis, Darlene Delano, Mary Fanelli, Jessica Ferren, Adam Glass, Amber Gove, Darlene Hoyt, Sue Hoyt, Chris Jenssen, Karina Jonas, Margaret and John Monto, Kristin Nesbit, Kathy Neuberger, Susan Nye, Jim Ransom, Michelle Robinson, Sandy Schmidt, Rachel Seamans, De Segerson, Christine Stuart, Barbra Wiggins, Olivia Woods and Dot Young! We couldn’t have done it without you – thanks so much! 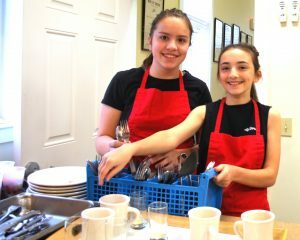 Amber and Rachel were ably assisted by a superb crew of kitchen and dining room volunteers. 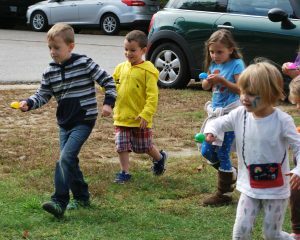 Kim and Carly Esposito, Josiah and Avery Gove, Gavin Grant, Darlene and Carla Hoyt, Chris Jenssen, Nancy Large, Marissa and Tori Montagna, Michelle Robinson, and Dot Young answered the call to make it a great day. Thanks to all! And finally, the WCA is grateful to everyone who joined the fun at this great fundraiser. This year’s Pie Breakfast was the biggest and most successful ever. Thanks a million! 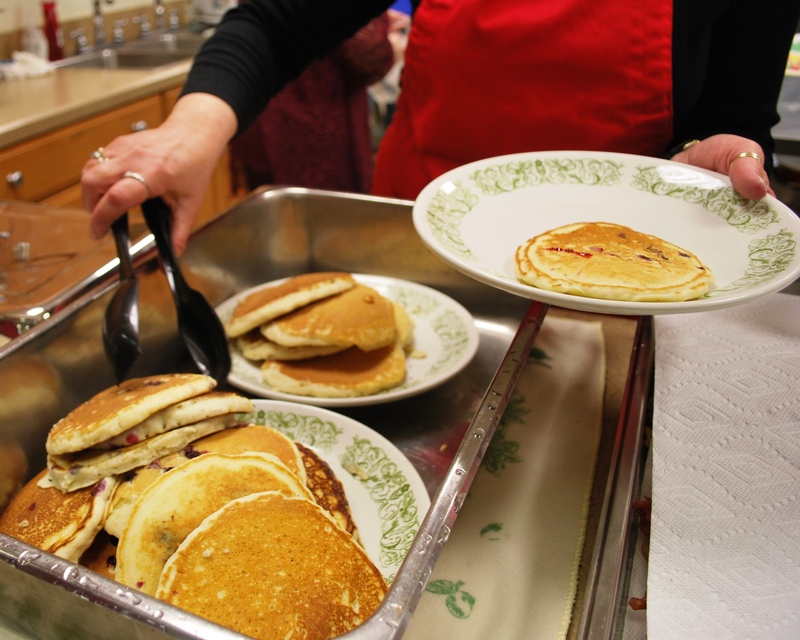 The WCA Pancake Breakfast – tasty as ever! The WCA’s Red Barn was back in the breakfast business on Sunday morning, March 19. 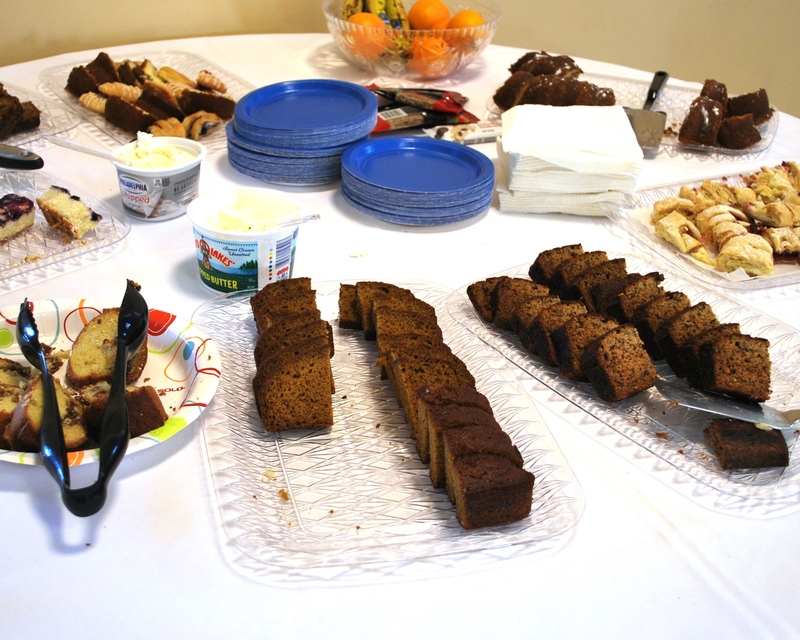 The WCA has a long tradition of Sunday breakfasts. It’s been a while since the last one and they have been missed by all. 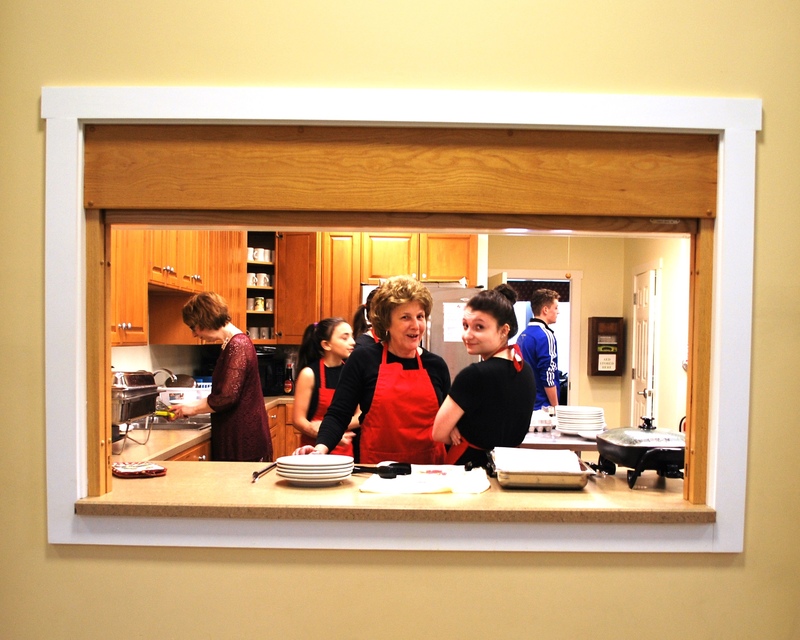 The WCA is indebted to the many volunteers who gave their time and talents to make the breakfast a success. 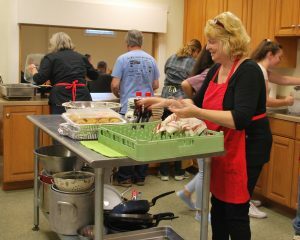 Heaps of applause goes to the chief cooks and bottle washers, Rachel Seamans and Amber Gove. “We’ve constantly heard how much people miss Sunday morning pancakes at the WCA and were happy to bring them back,” said Rachel. “It was great fun. 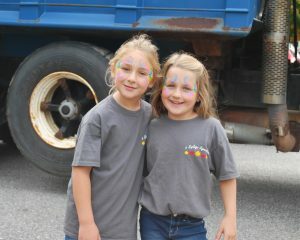 Everyone had a wonderful time,” added Amber. The WCA is always happy to help local high school and middle school students earn their community hours. 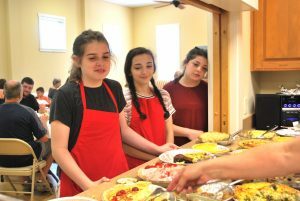 Amber’s sons Josiah and Avery Gove helped with breakfast along with Victoria Cruz, Jacob DuPuis, Carly Esposito, Carla Hoyt, Jack Schwendler and Elijah Westerburg. 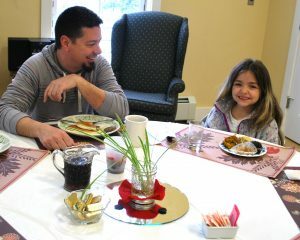 Thank you to all who joined the fun and enjoyed a delicious morning.